My hostesses in West Vancouver let me sleep in today and I woke up because of the noise the construction men were making in the house. Some machine seemed to be cleaning the brand new outside swimming pool and I slept right next to that machine. When I made myself back to the living room upstairs (you remember, that was again quite a walk), I joined Fiona and her mother Kathie. Kathie was very busy unpacking family photos, cutlery and glasses with her Pilipino helping-hand lady. While I got some breakfast from Fiona I enjoyed watching the hard working folks at the house, busy with all their personal belongings that have been packed in boxes quite a while. And in the meantime the movers continued dropping in more and more boxes. Later, after noon, Fiona took me along for grocery shopping in downhill Ambleside and we got sandwiches at Subway. Fiona was trying to figure out what she could do with me. She mentioned showing me the Canada Place (seen it), Stanley Park (cycled around it), walking through downtown (done the tour), going up the mountains (touched that snow already) and she was even more surprised about how I already knew little details I heard before about Ambleside or about the Lions Gate Bridge. 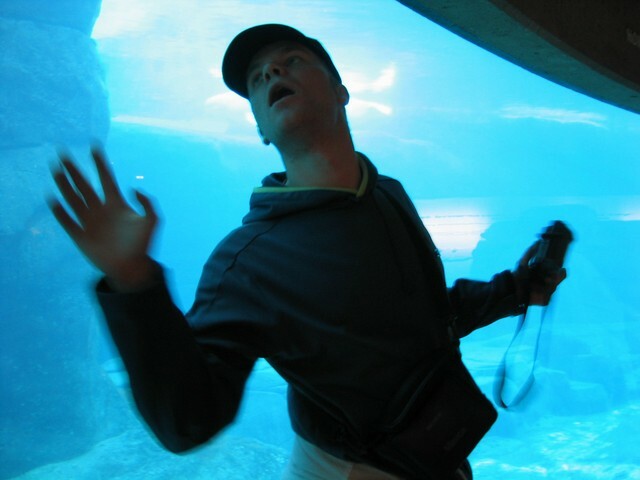 �The Aquarium?� What! 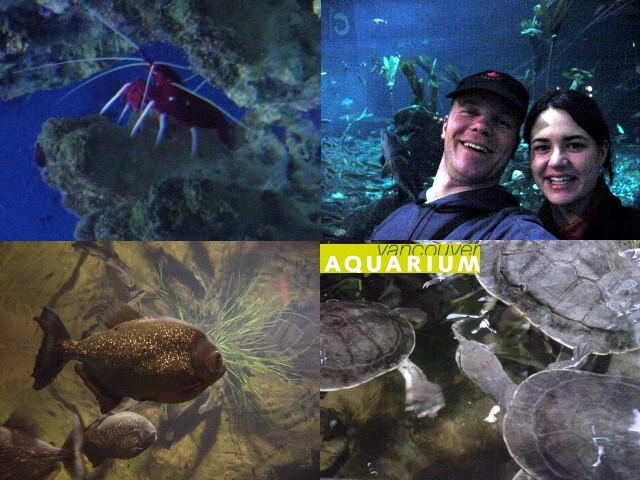 �Yes, the Aquarium! 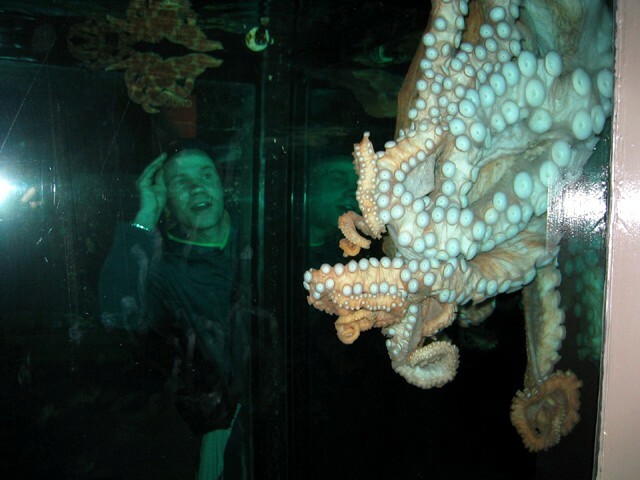 You haven�t seen the Vancouver Aquarium yet?� No� �You�ll love it! 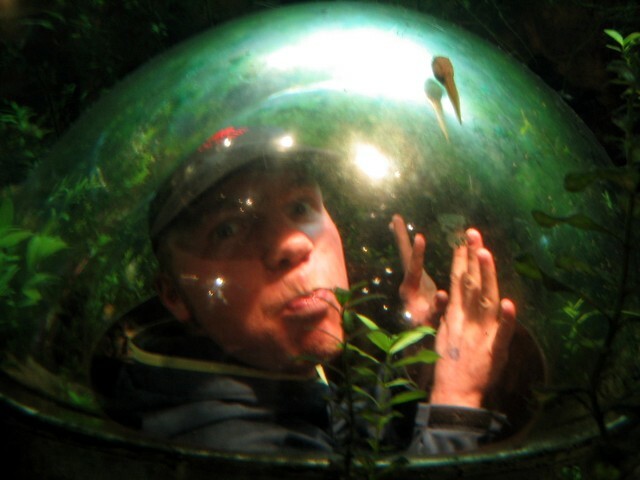 It�s fun, I love to go there too!� And we turned around back to Stanley Park, where the Aquarium was located. 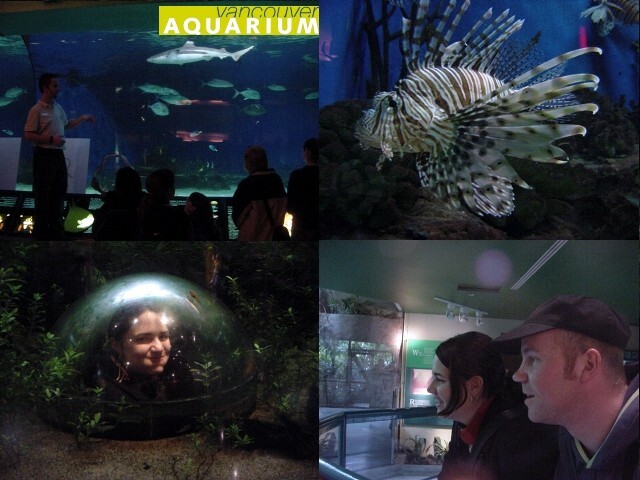 And suddenly we were walking through tropical areas in this big Aquarium/Museum, looking at reptiles, snakes and lots and lots of fish! Fiona showed me around her favourite hangouts and I was amazed by the beauty of the fish that just seem to live in the next door waters! At the end of the afternoon, we got back at the big house in West Vancouver again, where I had to pack my stuff and get ready for another move. Today I would move on to Fiona�s own condo in Yaletown. 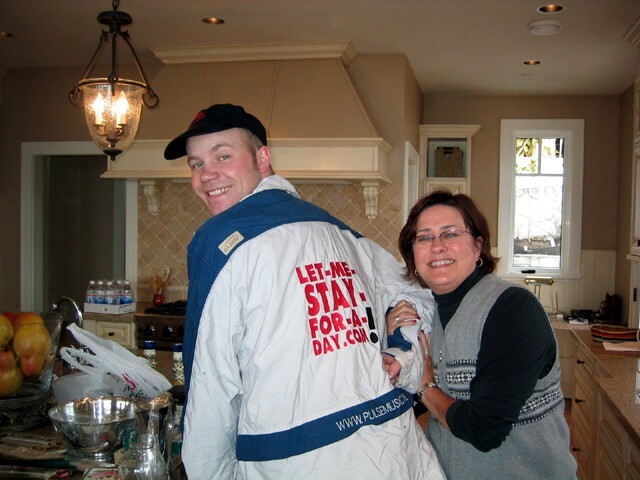 But before that, Fiona�s parents invited us over for dinner at the Hollyburn Country Club. This was a very posh place in town and it was very obviously for the upmarket people only. �You pay some $20,000 to become a member and then a few thousand dollars per year to use all the facilities here,� I heard Kathie say. I was impressed. And those facilities were more than just a sportsbar with weekly bingo nights. I quickly saw a swimming pool, a few tennis courts, an indoor ice hockey field (!) and a gym. We had dinner at the Panorama Bar & Grill restaurant, which of course offered this great panorama on bright lit East Vancouver. I don�t often get to come to these very exclusive places like these! After this good dinner, Fiona�s parents dropped us off on Hamilton street in Yaletown. 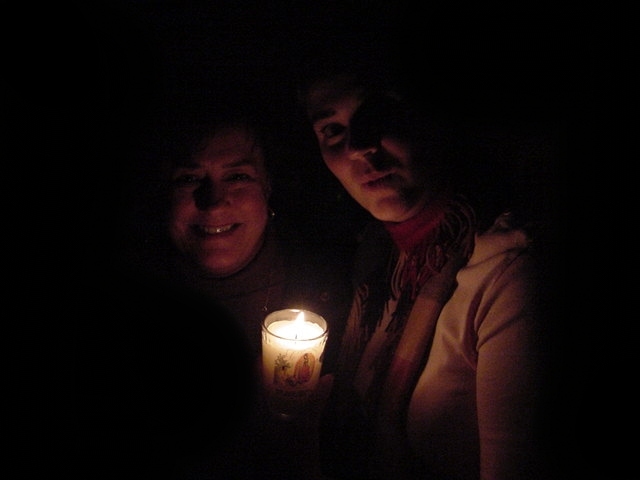 We immediately saw there was something wrong: the entire street and all the buildings were dark. There seemed to be a power outage, so I dragged my wheeled bag up to the fourth floor of the apartment building and Fiona lit up a bunch of candles in her condo. �What do you think about going to the movies tonight?� she suggested happily. That sounded fun to me too. I had not seen a movie in the theatres for ages. We walked out and up Davie Street and ended on Granville Street, where most of the theatres are located in Vancouver. Our eyes picked the movie Gangs of New York, starring Leonardo diCaprio. We both had not seen it yet and were in for a good movie. It took us exactly two hours and 50 minutes to find out that Gangs of New York is one of the worst movies of the year. It is the manual for �how to make a movie unnecessary long�, because was this storyline stretched out! At certain times in the three hours spanned movie, there was absolutely NO storyline at all! Fiona even elbowed me when she noticed that my eyes were closed. When in the last ten minutes of the movie new characters got introduced who were going to change the entire empty plot, it was enough for both of us and we left the theatre. It does not happen that often that I walk away from a movie! Yep, I guess we were both fooled by the mass media hype around this movie. Bad movie, bad movie, folks! Back home were were a bit stressed of all this. It the great experience on how good expectations run bad and a whole night seems to have been useless... Unfair! But if I would stay another day tomorrow, Fiona would take me out, meet some friends of her and show me around at her favorite places in town. Of course, I stayed!